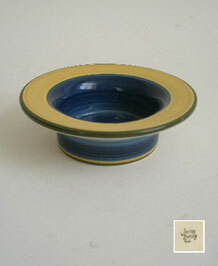 Here is a lovely candleholder by Jersey Pottery. 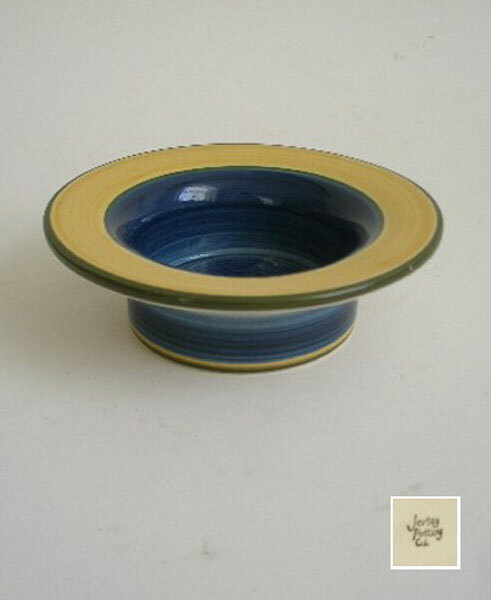 It has been handpainted in deep blue and sand yellow with a green rim and is suitable for a pillar candle with a diameter of 2.5 inches. It is also attractive to use as a pin dish. Marked to the base Jersey Pottery C.I.and a 'D' for the painters initial.